You’re a good friend. And, like all good friends, it’s really hard for you to watch a person you care about struggle with depression, anxiety or any other mental illness. You want to help, but you aren’t sure how. Of course you don’t want to risk damaging your relationship, but you also don’t want to pretend everything is fine. If any of that sounds familiar, this post is for you. Keep scrolling for our top suggestions for what you should—and shouldn’t—do when helping a friend with mental health problems. No one is harder on yourself than you are. Don’t let social anxiety stop you from being the person you want to be. First things first. If you suspect that your friend is suicidal or causing self-harm (cutting, for example), stop reading and seek professional help immediately. The National Suicide Prevention Lifeline is available to call 24/7, across the United States. Even today, psychological health problems aren’t thought of in quite the same way as physical health problems. Post-Traumatic Stress Syndrome, Obsessive Compulsive Disorder, Bipolar Disorder—along with anxiety and depression—are chronic, often debilitating conditions that may require ongoing treatment from medical professionals. If your friend is dealing with one or more of these problems, it’s important to recognize this isn’t something he or she will “snap out of”. You can learn more about the most common mental health problems here on our website, or any number of reputable sources online. There’s a real stigma associated with mental health illnesses. It’s sad, but that’s the reality we live in. Because of this stigma, your friend may not want to hear that he or she is sick. So, rather than trying to diagnose your friend, simply show your support. You can start by listening when your loved one needs someone to talk to. Have you noticed worrisome trends in your loved one’s behavior? Is he withdrawing from friends and family? Is she losing weight, gaining weight or no longer following her normal grooming habits? It’s ok to confront your friend if you see obvious signs of mental health illness – just make sure to do it with compassion and empathy. Talking to a friend about mental health problems requires a delicate touch. If you decide to have this conversation, it’s important to choose the right setting. 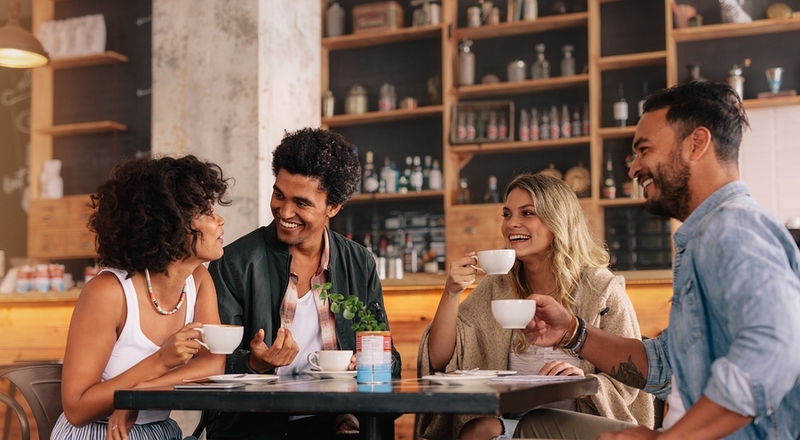 Pick a place where you know your friend feels comfortable, and wait for a time that both of you can chat without distractions or interruptions. If your friend really does have a mental health disorder, you aren’t going to fix it with a single conversation—or even a series of conversations. In other words, go in with realistic expectations. At first, your goal should be to establish yourself as a trusted resource that your friend can come to for help, whenever that time comes. Is Your Friend Ready for the Next Step? At Growth Extended, we specialize in helping young adults reach their full potential. We accomplish this by offering a warm, caring environment where clients can learn, heal and thrive at the pace that is right for them. We also offer support for the family members who are affected by their loved one’s struggle with mental illness. Find out more about how we can help, or contact us today to get started.